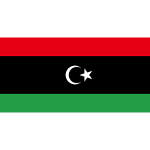 February 17 is a public holiday in Libya, known as February 17th Revolution Day. It marks the beginning of the Libyan Civil War that eventually led to the overthrow of Muammar Gaddafi government. February 17 is National Café au Lait Day, that is French for coffee with milk. Celebrate this holiday with a cup of perfect café au lait. 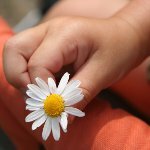 Random Acts of Kindness Day originated in New Zealand where it is celebrated on September 1. In the United States, this unofficial holiday is observed on February 17 instead. 2006 A massive mudslide in Southern Leyte, Philippines, caused the death of 1,126 people. 2001 Died: Barry Burman, English painter, a figurative artist known for this dark and disturbing subject paintings, inspired by murderers. Burnam was considered as a successful artist and teacher. 1998 Died: Bob Merrill, American composer and songwriter, the second most successful songwriter of the 1950s. He wrote songs that became great hits, like If I Knew You Were Comin' I'd've Baked a Cake, Honeycomb, Mambo Italiano, Love Makes the World Go 'Round. 1996 World chess champion Garry Kasparov beat the Deed Blue supercomputer in a chess match in Philadelphia. 1996 NEAR Shoemaker, a robotic space probe, lifted off on first mission ever to orbit and landed on asteroid 433 Eros. 1982 Died: Thelonious Monk, American pianist and composer, widely regarded as one of the giants of American music. Monk is known for his unique improvisational style and he made numerous contributions to the standard jazz repertoire. 1981 Born: Joseph Gordon-Levitt, American actor, director and producer, best known for his roles in 10 Things I Hate About You, (500) Days of Summer, Inception, The Dark Knight Rises, Lincoln, Don Jon, The Walk. 1981 Born: Paris Hilton, American model, actress, and singer. Hilton is the great-granddaughter or Conrad Hilton, the founder of Hilton Hotels. Paris gained international recognition after the reality show The Simple Life. 1980 Two Polish alpines Krzysztof Wielicki and Leszek Cichy made the first winter ascent to Mount Everest. 1972 Born: Billie Joe Armstrong, American singer-songwriter, guitarist, producer, best known as the vocalist, songwriter and guitarist of punk rock band Green Day. 1965 The Ranger 8, a lunar probe, launched on its mission to photograph the Mare Tranquillitatis region of the Moon in preparation for the Apollo mission. 1963 Born: Michael Jordan, American basketball player and actor. Jordan is considered as the best basketball player of all time. He earned nicknames Air Jordan and His Airness for his leaping ability. 1963 Born: Jen-Hsun Huang, Taiwanese-American businessman, co-founder of the graphics-processor company Nvidia. 1959 The first weather satellite Vanguard 2 was launched by the USA to measure could-cover distribution. 1955 Born: Mo Yan, Chinese author, best known to Western readers for his novel Red Sorghum Clan, Noble Prize laureate. News magazine TIME referred to Mo Yan as to one of the most famous, oft-banned and widely pirated of all Chinese writers. 1904 Madama Butterfly (Madame Butterfly) by Giacomo Puccini premiered at La Scala in Milan. 1890 Born: Ronald Fisher, English statistician, biologist and geneticist, made important contributions to analysis of variance, method of maximum likelihood, fiducial inference, derivation of various sampling distributions. Fisher is considered as one of the three principal founders of population genetics. 1878 The Provisional IRA detonated an incendiary bomb at the La Mon restaurant, near Belfast. 12 were killed and 30 seriously injured. 1874 Died: Adolphe Quetelet, Belgian astronomer, mathematician, sociologist, the founder of Brussels Observatory and influential figure in introducing statistical methods to the social sciences. 1863 The international Committee of Red Cross was founded by a group of citizens of Geneva. It's original name was the International Committee for Relief to the Wounded. 1856 Died: Heinrich Heine, German journalist and poet. He is best known outside Germany for his lyric poetry, that was set to music by Robert Schumann and Franz Schubert. 1854 Died: John Martin, English painter. His triumph was Belshazzar's Feast, on which he boasted beforehand. The painting was later nearly ruined in an accident. 1854 Born: Friedrich Alfred Krupp, German businessman, founder of Krupp, the largest steel production and ammunition company in Europe at the beginning of the 20th century. It emerged with Thyssen AG to form ThyssenKrupp AG, one of the world's largest steel producers. 1820 Born: Henri Vieuxtemps, Belgian violinist and composer, prominent person in the history of the violin, also known for playing upon the Vieuxtemps Guarneri del Gesu, a violin of Giuseppe Guarneri. 1781 Born: René Laennec, French physician. He invented the stethoscope and pioneered its usages in diagnosis of various chest conditions. 1753 Sweden moved from the Julian calendar to the Georgian calendar, that is why February 17 was followed by March 1. 1715 Died: Antoine Galland, French archaeologist, but most famous for his translations of One Thousand and One Nights. His version of the tales had a huge influence on subsequent European literature and attitudes to the Islamic world. 1680 Died: Jan Swammerdam, Dutch biologist and microscopist, the first person to observe and describe red blood cells. His techniques on using the microscope in dissections remained useful for hundreds of years. 1673 Died: Molière, French playwright and actor, considered as one of the greatest masters of comedy in Western literature. His best known works are The Misanthrope, The School for Wives, Tartuffe or the Hypocrite, The Miser, The Imaginary Invalid and The Bourgeois Gentleman. 1600 Died: Giordano Bruno, Italian mathematician, astronomer, and philosopher. He is known for his cosmological theories, that were not accepted in his time. Bruno was tried for heresy and burned at the stake in Rome.